perhaps the same as the old boss. Our dear Fidel resigned this morning which in actuality means little but symbols are all this world is anyway. Raul Castro, who has filled in for Fidel Castro since his brother was sidelined by illness almost 19 months ago, is a pragmatist more concerned with putting food on Cuban tables than with spreading revolution abroad. The outwardly dour 76-year-old lacks his elder brother's charisma and has lived in his shadow for decades. 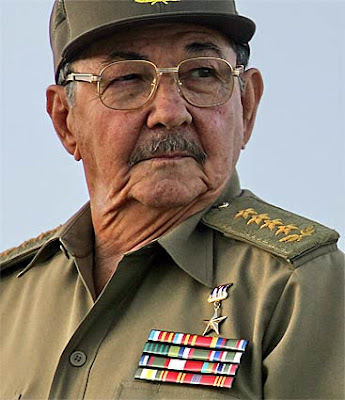 But as acting president, Raul Castro has encouraged Cubans to openly debate the shortcomings of Cuba's communist system. The camera-shy army general has acknowledged that wages paid by Cuba's socialist state are too low. Yet he is not expected to follow China's example and free up a market economy, at least not while his brother is alive. And he has promised more socialism. Since their guerrilla war in the Sierra Maestra mountains and the triumph of their revolution on Jan 1, 1959, Raul Castro has always been his brother's most trusted right-hand man. 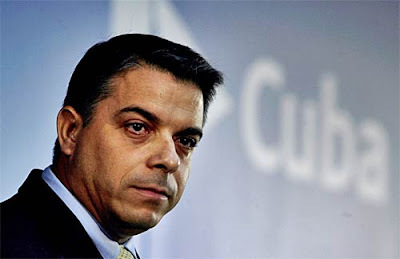 The son of Havana laborers, Lage became a vice president of the Council of State in 1993, positioning him as the third most-powerful figure behind the two Castros. Lage, 56, studied medicine at the University of Havana, where he earned a degree in pediatrics. He has been involved in politics since his student days, becoming head of the Federation of University Students in 1975. Lage, was elected to the National Assembly in 1976, and a decade later, was recruited by Castro for the Council of State and his Assistance and Support Team, the strategic planning force from which he sprang to national attention with the Special Period reforms. Appointed secretary of the Council of Ministers in 1990, he has served a prime ministerial function, albeit under constant guidance -- some would say intrusion -- from Fidel Castro. Although he is thought to support free and direct parliamentary elections and to advocate more private enterprise to boost services and quality of life, his few public expressions on international relations have toed the revolutionary line. 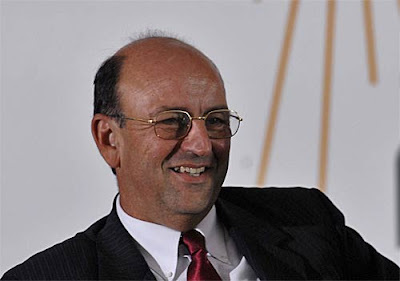 The President of the National Assembly since the early 1990s, Alarcon serves as the voice of the Havana hierarchy at the annual U.N. General Assembly and on issues of international conflict. Alarcon, 70, has made the public case for the U.S. extradition of radical anti-Castro exile Luis Posada Carriles for trial in Venezuela on charges of having bombed a Cuban civilian airliner in 1976, as well as in demanding freedom for the Cuban Five, jailed in the United States since 2001 on espionage charges. 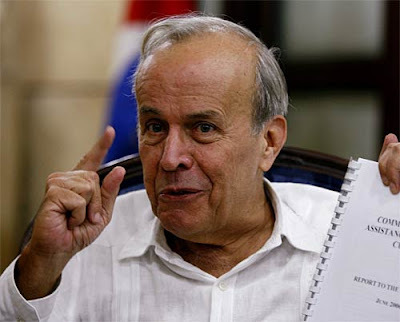 An undergraduate at the University of Havana when Fidel Castro was in the Sierra Maestra plotting his revolution, Alarcon served as a leader of the National Student Front, organizing high school and university students in boycotts, building takeovers and street protests. He joined the Foreign Ministry after receiving his doctorate, and in less than a year, he was heading the ministry's Latin American directorate. and my personal favorite and the one I hope "gets it"
The youngest of Cuba's emerging leaders and among the least likely to stray from Castro's policies, 42-year-old Perez Roque has been foreign minister since 1999, when he became the first Cabinet member to have been born after the revolution. A student of electrical engineering at a Havana technical school, Perez Roque followed the well-trodden path to power through the Federation of University Students into the Communist Party ranks in his early 20s. His activism caught Castro's eye, and he was submitted as a candidate for the National Assembly in 1986, earning a seat in the rubber-stamp parliament three years before being appointed as Castro's personal secretary and gatekeeper. Not known to have expressed support for loosening political or economic strictures, he has served as palace bulldog on contentious and internationally sensitive issues. He's young, he's a hardliner, his last name is Roque- he's perfect! Viva Felipe! Viva la Revolucion!